« Sanders and Varoufakis to launch ‘Progressive International’ “Green, Radical Left and……..Liberal”? At least she won’t hang but has she been declared innocent? It’s good you have hi-lighted this case Andrew but I expect that it will be ignored by most of the left. SIR – The acquittal of Asia Bibi on trumped-up charges of “blasphemy” (report, November 1) is welcomed by progressive Muslims. Her jailing has sullied the name of Koranic Islam, as it was a calculated injustice fomented by fundamentalist clergy and perpetuated by Pakistan’s lower courts. Not only should this innocent Christian woman be granted prompt asylum Britain, but the Muslim Educational Centre of Oxford (Meco) will also offer her financial compensation as a small though inadequate token of our collective shame in not preventing her cruel incarceration. Muslims in the United Kingdom, Pakistan and elsewhere have to be educated that the manufactured crime of “blasphemy” has no Koranic basis whatsoever. Indeed, the Prophet Mohammed was vilified as a liar, madman, charlatan and sorcerer by his opponents, but Islam’s scripture prohibits human retribution against all detractors (Koran, 2:109; 9:74; 74:11). 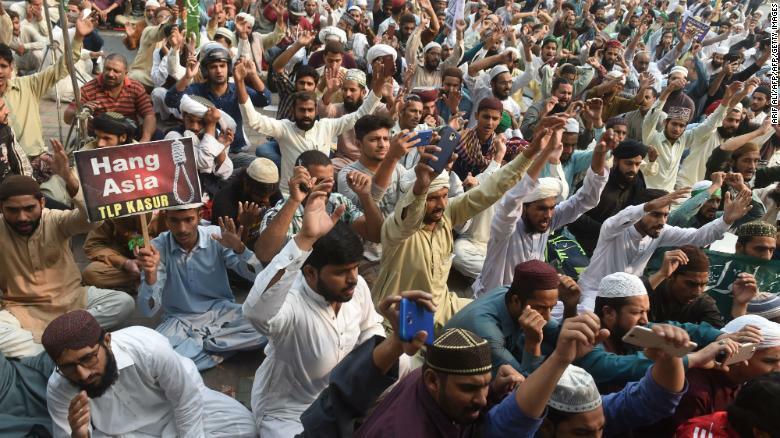 When a reprehensible Muslim hierarchy abuses masculine-invented sources (hadith, shariah, fatwahs) to distort divine teachings by manufacturing the “transgression” of blasphemy, they provoke the ugly, intolerant mob mentality that degrades Pakistan today. Why has there been such a deafening silence from British Muslims of Pakistani origin when the human rights of Christians in their ancestral homeland are flagrantly violated? British Muslims of every ethnicity must stand up and denounce all ideological intolerance if they truly uphold Koranic morality.